On june 2, 2007 The official opening of the ROM extension was celebrated. The what extension? The Michael Lee-Chin Crystal. Who’s Crystal? Okay okay I’ll try to explain. The ROM is not Read Only Memory, but the Royal Ontario Museum in Toronto, Canada. The Piano is not Renzo Piano, but a real piano (see below). The ROM extension is a new building designed by Polish born, USA raised and Berlin Based Architect Daniel Libeskind who is also responsible for rebuilding Ground Zero. 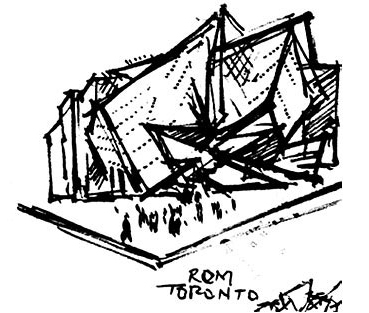 Inspired by the ROMâ€™s gem and mineral collection, architect Daniel Libeskind sketched the initial concept on paper napkins while attending a family wedding at the ROM. The design was quickly dubbed the ‘crystal’ because of its crystalline shape. 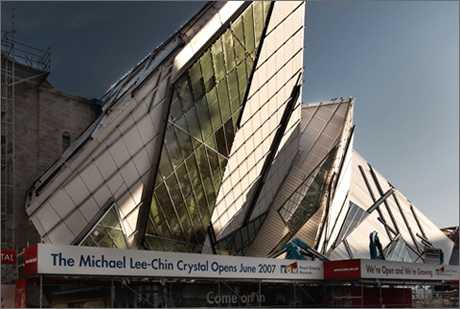 Michael Lee-Chin is a Canadian businessman who donated $ 30 mio to the ROM and hence the new building got his name. Via The Globe and The Mail I learned that Liebeskind, whose first vocation was to become a virtuoso pianist designed a Grand Piano. The idea for the piano arose in 2002, when Toronto piano dealer Robert Lowrey arranged a meeting between Libeskind and Nicholas Schimmel, head of Schimmel Pianos, one of the few remaining companies to make pianos mostly by hand. Libeskind had initially wanted to be a concert pianist, Lowery said, and Schimmel has already produced instruments with designs by the likes of German artist Ottmar Alt. â€˜Itâ€™s a piano to be played, but also to be admired as a piece of architecture,â€™ piano dealer Robert Lowrey says. Three 16-foot-long (five-metre) specialty models will be made, as well as a small number of seven-foot (two-metre) grands based on the same design. Libeskind designed only the exterior case; the interior works will be essentially the same as in a normal grand. “It’s a piano to be played, but also to be admired as a piece of architecture,” Lowrey said. 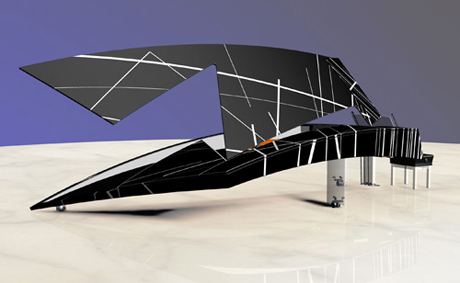 Like the Crystal, the Libeskind piano poses stiff engineering challenges. The enormously long lid, for instance, must be light enough to be raised by an ordinary person, and strong enough not to warp or bend. Lowery said Schimmel is experimenting with titanium as a material for the cabinet. The case for Schimmel’s playful Alt piano, which looks like a gigantic child’s toy, employed steel, glass and fibreglass. “It’s taking longer to make this piano than to build the Crystal,” Lowrey said. Thorsell said he expected the piano to emerge from Schimmel’s factory next year. 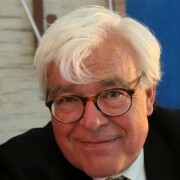 But the head of Schimmel’s American office, to whom the German office referred questions, said he had “no idea” when the piano might be completed. Lowrey said Schimmel hopes that the publicity value of the large instruments will help sales of the limited-edition models, which will probably number fewer than 120. One of the other long models may be displayed near the ground zero site in Manhattan, he said. I wonder whether this will revive the classical piano.